Sega has released a new promotional video for Hatsune Miku-Project Diva F. Scheduled for release in Japan on March 7, 2013, the game will be available in full HD and will boast 6 new songs. 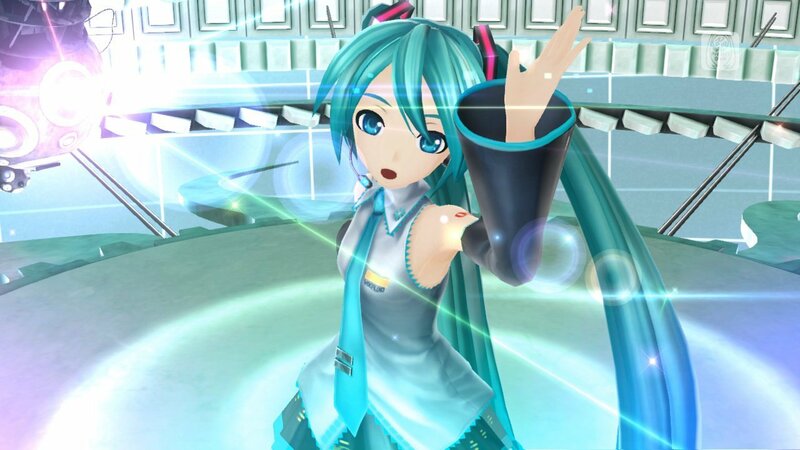 Along with the addition of the new songs Project Diva F will have 13 new outfits to dress up in. Merchandise for the game, including a controller like the one we reported on before as well as a mini version can be purchased to play the game with. The songs featured in the video are very pretty and invite you to keep the beat as you play the game. With the addition of the 6 new songs, Project Diva F now boasts 38 songs for players to listen to as well as attain the goal of winning on each stage. Since you can now synchronize the Vita version with the PS3 version with a “live studio,” it will be fun to see each song in all of its glory. Ohhh, Cute outfits! I love to see what they are going to dress Miku in next and fans are rarely disappointed with the outcome. The decision to add 13 new outfits was a wise one. Players will be able to see each different outfit being showcased within different songs. To say that sometimes we can get caught up in the clothing and miss a few beats would be an understatement. Thank you to Jodie Langford for the hard work translating this information for me.